For the past two months I’ve been deeply engrossed (read: obsessed) with finishing a costume for my boyfriend. 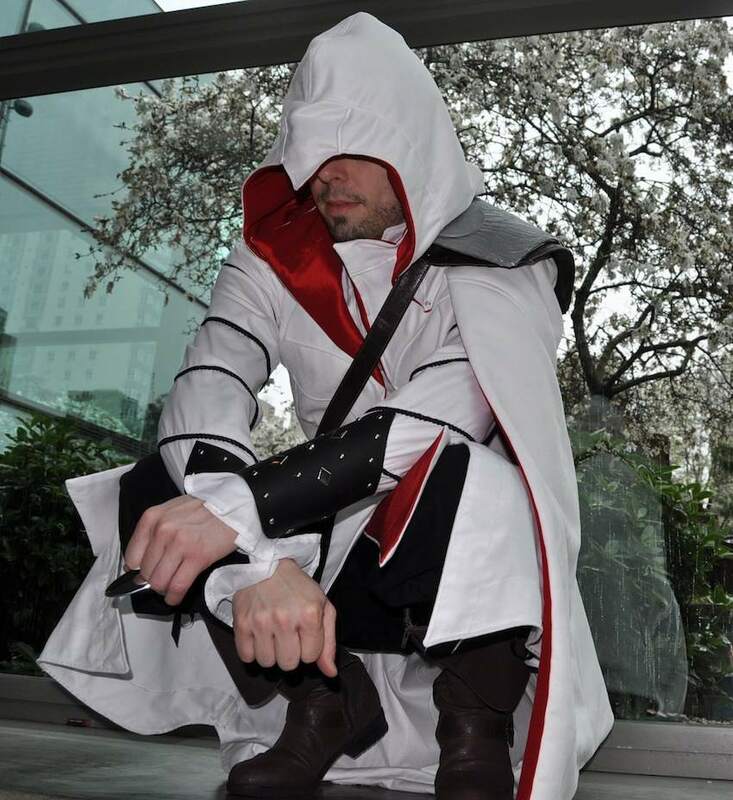 He made a smashing debut as Ezio Auditore (Assassins Creed II: Brotherhood) this weekend at Emerald City Comicon (Seattle, WA). I am so proud of my assassin. But now that the con is over, I feel a little sick to my stomach because the friction that comes from wearing multiple layers of heavy clothing caused the red taffeta lining to leave reddish-pink smudges all over the white costume. 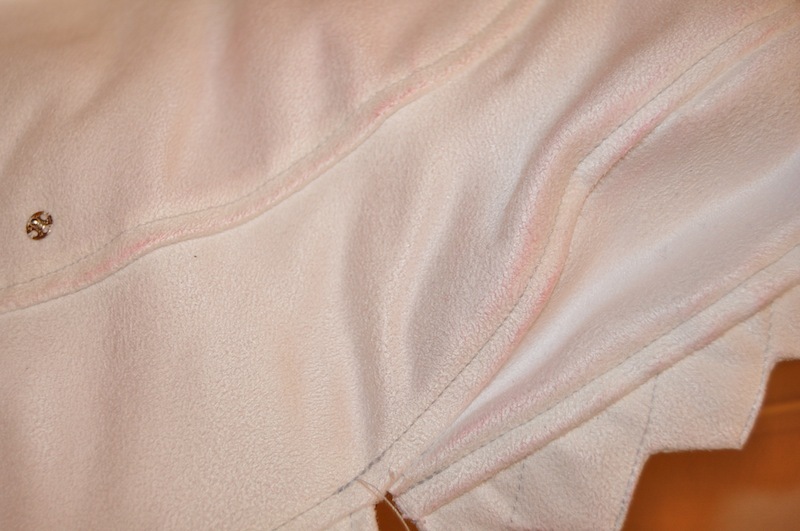 Even though the most-affected areas were those that were underneath the cape or inside the doublet, areas that will be covered most of the time, these pink stains are a “learning experience” I would have preferred to skip.. 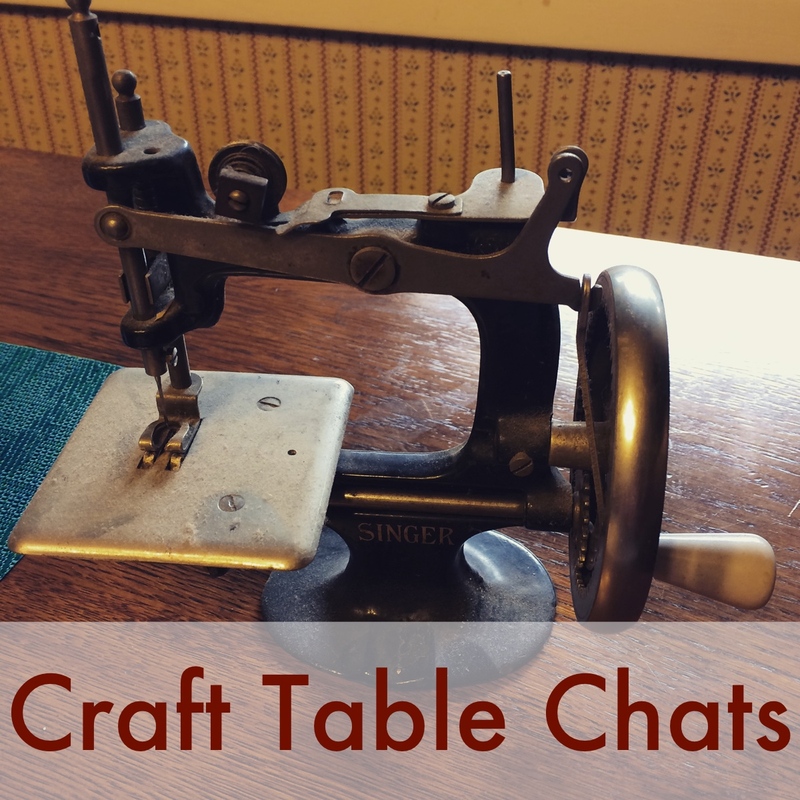 It looks like it can be washed out, based on a couple of test scraps. 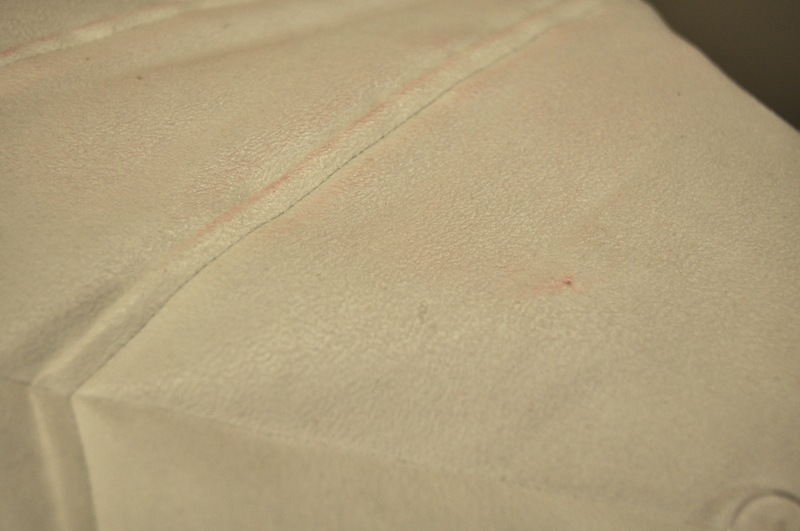 But I can’t wash the full doublet unless I take the lining out, because the lining may just bleed more when wet. I am open to suggestions, but at this point I think the easiest option is to remove the red lining completely from the doublet, cape, and hood, and find a non-bleeding replacement. Greg wants to get multiple uses out of this costume, and every time he wears it the red lining will just keep staining the white fabrics. Even if I am able to figure out a washing method, neither of us want to spend hours washing the costume every time he wears it.